Digital marketing started with demand generation. Marketers found this new frontier called the Internet in the late 1990s and before long learned how to harness it for brand awareness, facilitating discovery and supporting sales. First out of the gate was SEO, a method to elevate your brand to the first page of the many search engines that first appeared, such as Excite, Yahoo and DMOZ. Then came paid search advertising in the early 2000s. Now we have a wide variety of digital channels to choose from, including blogs, social media, video, podcasts, SMS text and websites, not to mention the new hybrid Web TV's. With this explosion in bandwidth has come a torrent of content, to the point that consumers have become far more selective in their choice of content and delivery channels. 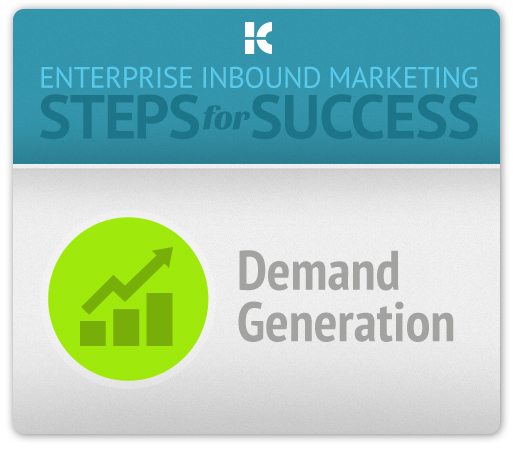 Which begs the question, "What's the best approach to demand generation now?" I would be remiss if I didn't bring up the distinction between inbound and outbound marketing, the equivalent of Democrats and Republicans in demand generation—or is it the other way around? Anyway, inbounders believe in using passive (or "earned") techniques to attract website visits and leads, such as SEO, blogging, social media engagement (not advertising), while outbounders are willing to pay for placement in prominent places like search engines, popular websites and/or send out emails and texts to opted-in (or not) lists. Smart marketers use a mix of these techniques and use marketing automation to test which channels deliver the best response for chosen KPIs, such as traffic, leads, conversion rates, etc. The bottom line is that CMOs can't protect or expand their budgets based on Facebook likes or Google rank for targeted keywords. They need hard revenue data. They want to know how many customers and how much revenue did we add based on our latest email campaign, blog CTAs, organic search and Facebook sponsored stories? Which channel has the highest conversion rates and the lowest cost per lead? This is where Revenue Performance Management comes in. By integrating demand generation campaigns with marketing automation and CRM, and by tracking revenue-centric KPIs, we can get this done. It's not a myth anymore. Demand generation is a science now. It's no longer a fire-and-forget solution, nor is it (necessarily) a money pit. If done right, demand generation accomplishes all of the original goals and pays for itself in sales. In my next post on Lead Nurturing, we'll see how we get from lead to sales without a leaky bucket. With over 30 years of business and marketing experience, John loves to blog about ideas and trends that challenge inbound marketers and sales and marketing executives. John has a unique way of blending truth with sarcasm and passion with wit. Connect with John via Twitter, LinkedIn or Google Plus.